I am grateful to those who thoughtfully and generously presented me with the above blog awards. It is a great honour to receive them. Thanking the presenter on your blog and linking back to their blog. Placing the blog award symbol on your blog. Nominating a certain number of other blogs for the award by leaving a comment on their blog. 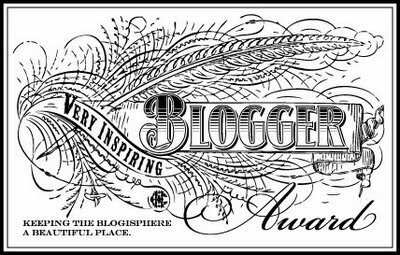 (5 blogs under 200 followers for the Liebster Blog Award, 15 blogs for the Versatile Blogger Award and 7 blogs for the Very Inspiring Blogger Award). I can easily comply with the first two rules. Yet for me the third rule, with its specified number of bloggers to nominate, seems a bit arbitrary from award to award. So to be authentic to myself, I will keep this Honours page up (rather than just a post about the award) and will add blogs to it that I nominate for the respective awards based on the essence of the blog award and provide a description of their blog, not just their blog name. However, I will provide information about each award and links, where possible, to the complete “official” list of rules for those who wish to know the complete details of the blog awards. Thank you Ann of ChannelComfort for graciously awarding me this award. Ann is a blogger living her life connected in mind, body and spirit and sharing her abundant life journey with others. The origins of the Liebster Blog Award are unclear, but the general consensus is that it originated in Germany. “Liebster” means “favourite” in German and is given to blogs with less than 200 followers to showcase some favourite small blogs. Thank you to Genie of Genie Speaks for lovingly awarding me with this blog award. Genie is on a journey of healing and spiritual growth and touches lives with her words of wisdom and great phrases. Thank you to dakini207 of Dips in the Road for lovingly awarding me with this blog award. Dakini207 is living an authentic life and embracing all the dips in the road of life. http://theabundantjourney.wordpress.com/ → Brenda is living an abundant journey and sharing her thoughts on it. http://cast-light.com/ → Kathie is casting light out as she lives her abundant life. http://daisyinthedark.wordpress.com/ → She may have a disability, but she has a talented eye to capture the beauty and abundance of her world in photos. http://incaseimgone.com/ → Leigh may be struggling with a rare lung/heart disease, but this fellow Canadian is living life abundantly with her family in California and writing letters of advice to her son. http://93percenttrue.wordpress.com/ → Jimmy is another parent telling great stories about his abundant life growing up and relating them to his abundant life with his family and young son. http://ardysez.wordpress.com/ → Ardysez is making honey from old failures as she share her inner life Down Under. http://onemoremorning.com/ → Lily has had her share of life’s tragedies, but shares her reasons to live one more morning happily. http://raisingmyrainbow.com/ →CJ’s Mom writes about her joys, struggles and, sometimes, embarrassments that go along with raising a gender nonconforming child. http://greenmountainmamas.com/ → Clio and Penelope are two moms, who write about their adventures with their son, Hank, in Vermont. http://shub50.wordpress.com/ → Shuba is an eternal optimist and spiritual seeker who is blessed to share her journeys of the soul. http://maggiephotgraphy.wordpress.com/ → Maggie is living an abundant life in retirement and is on a photographic journey which she is sharing with others. http://positivethoughtsonlife.wordpress.com → Velinda aims to promote and enhance life through inspiration, encouragement and love with short sayings and reflections accompanied by wonderful photos on her blog. http://teachmelife.wordpress.com → Zack is continually learning from life’s experiences and sharing his lessons with others. All these bloggers have found their own way to be still and connect and express how they live more abundantly. I’m off to check out your nominated blogs.